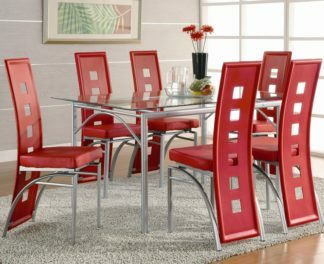 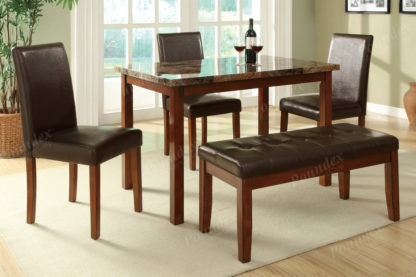 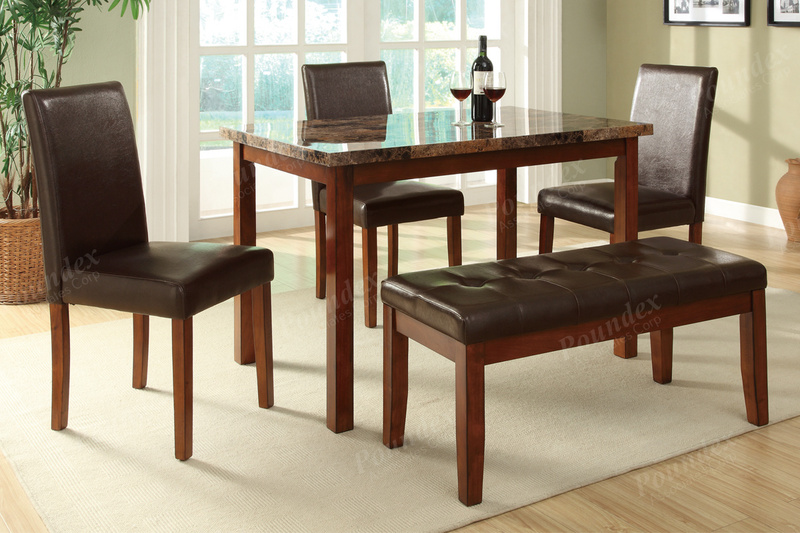 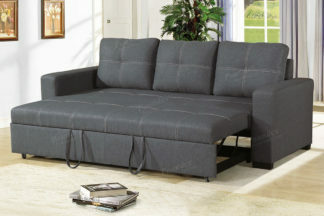 Luxury is defined by this 5-piece casual dining set with unique seating. 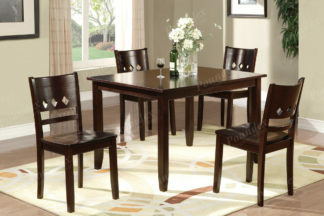 This set features a dining table with a dark natural marble finish tabletop and a medium oak finish frame. 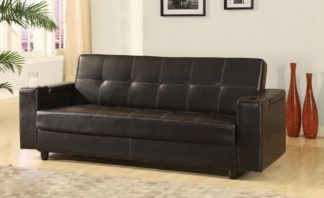 It’s seating includes three chairs completely upholstered in espresso faux leather and a bench cushioned in the same fabric for an alternative flair.